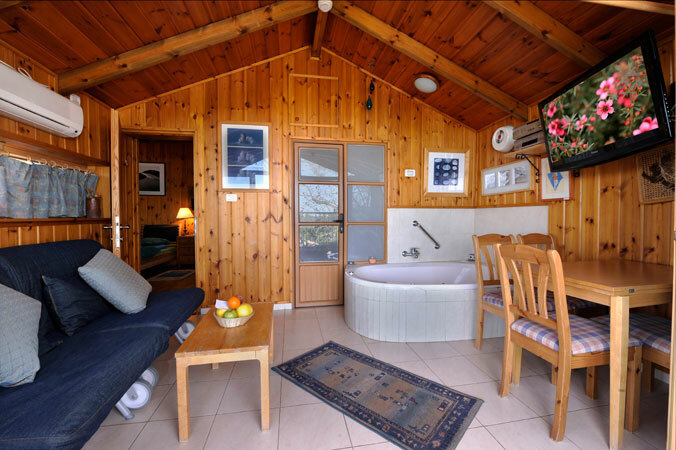 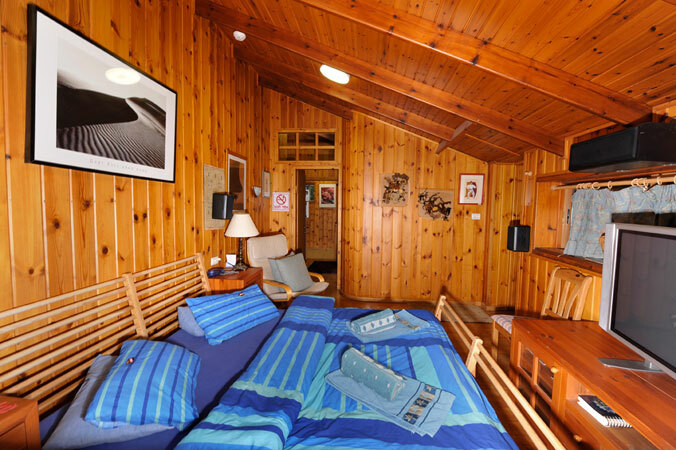 Wooden suite, living-room and bedroom, where you can wallow to your heart's content in a double jacuzzi, within a delightful porch facing the Kinneret. 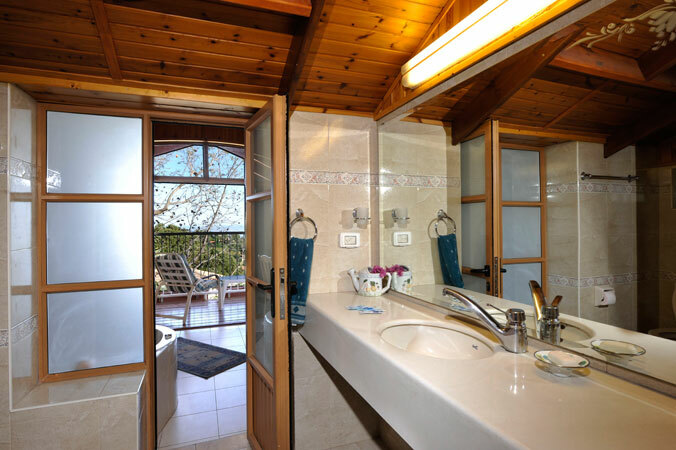 Spacious wood penthouse suite which has a recycled(like new)parquet floor combined with tiled porcelain, for a romantic couple or a family. 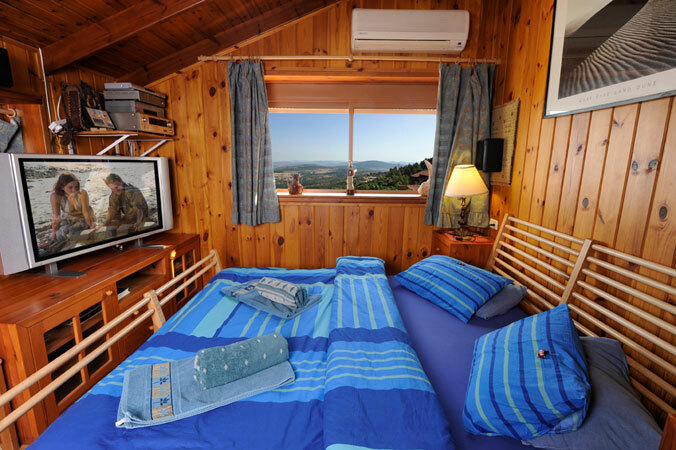 The view can be seen from both the living-room and the bedroom. 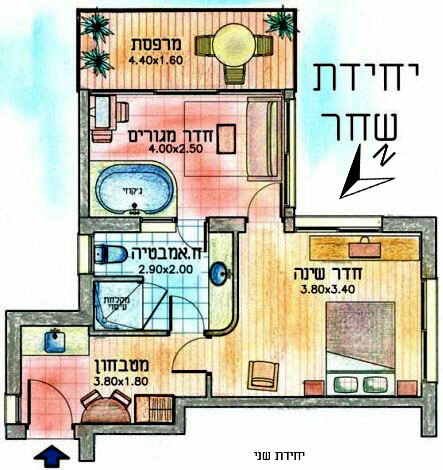 There are 2 sofas in the living-room which convert to 2 beds for a child or two (or second couple)and also a second TV system and an AC system for independent heating/cooling. 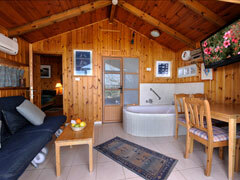 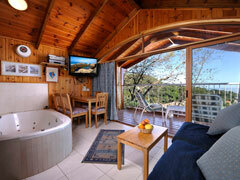 The jacuzzi in the living room can be enjoyed while viewing both the scenery and the TV screen. 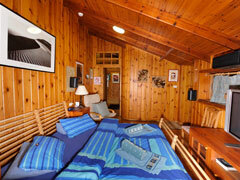 In the bedroom there's a Home Theater TV System and AC system for independent heating/cooling. 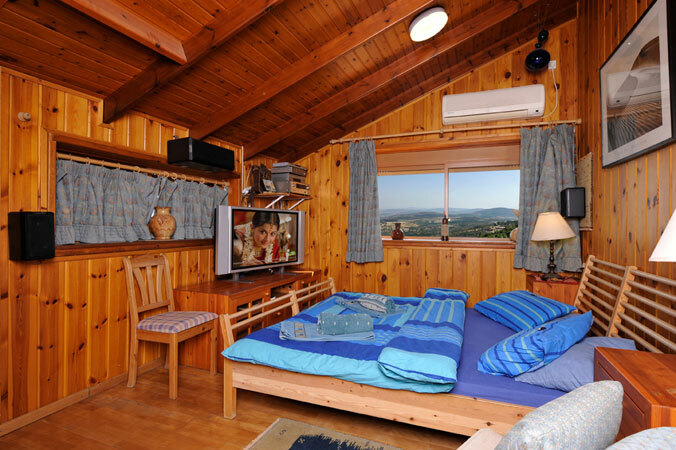 Large families can be provided with additional mattresses. 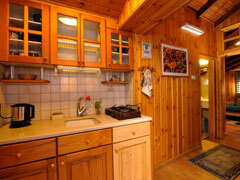 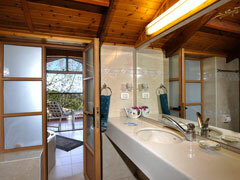 The bathroom/WC has 2 doors, and there is a separate kitchenette and two dining corners. 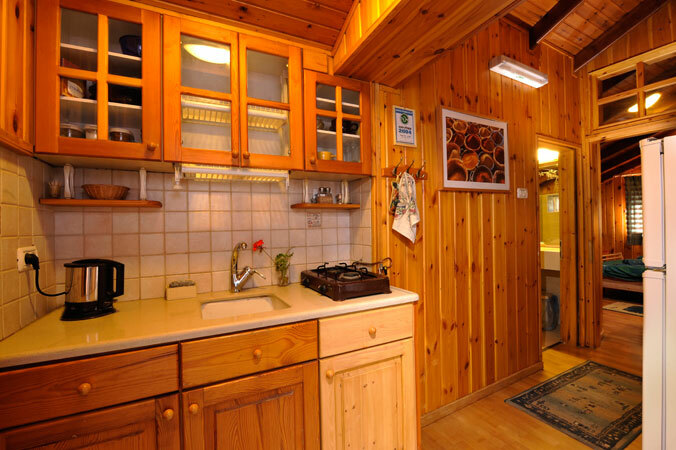 A clothes closet is in the entrance hall. 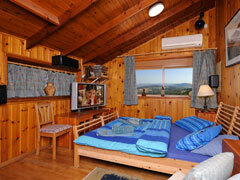 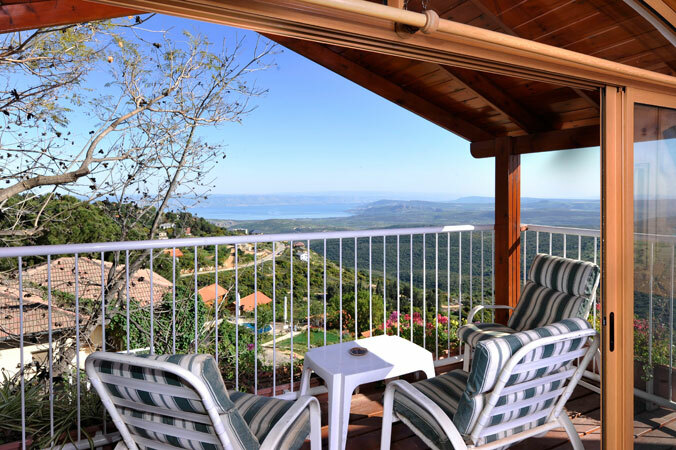 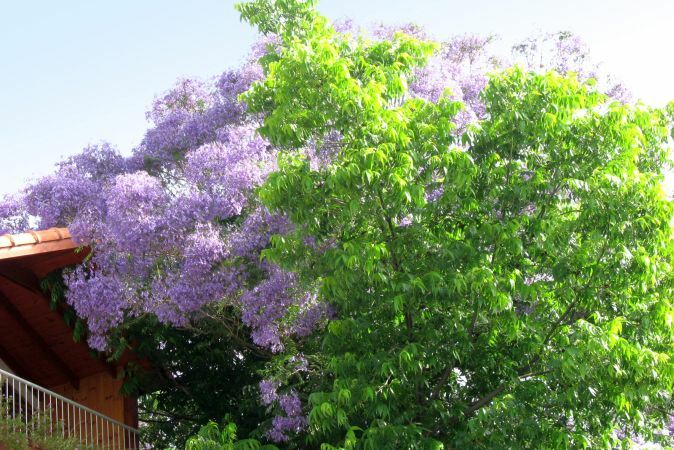 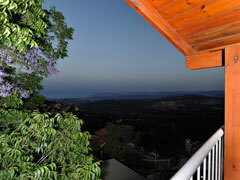 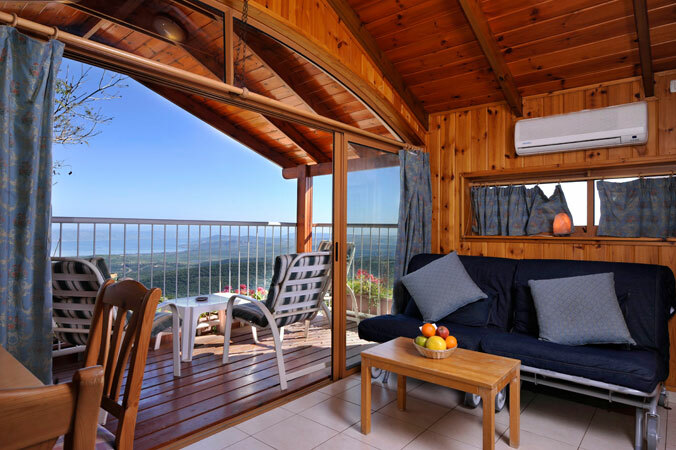 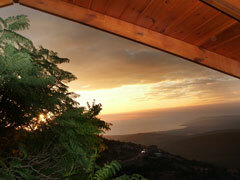 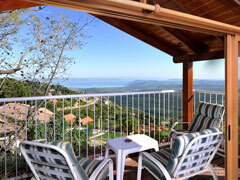 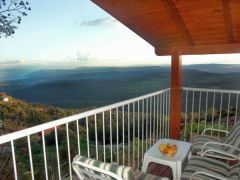 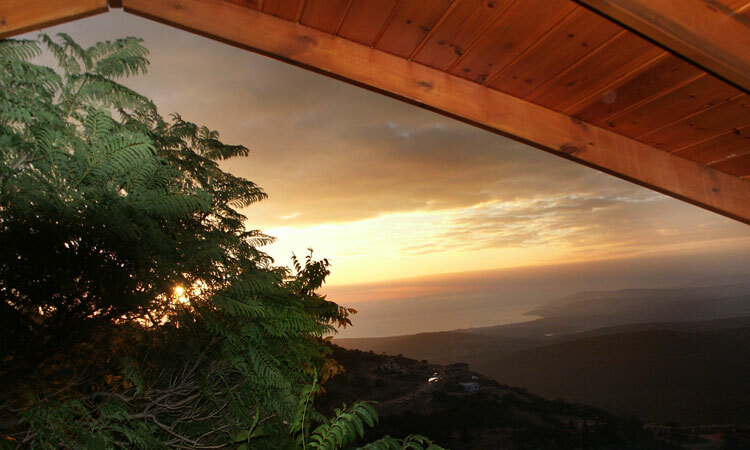 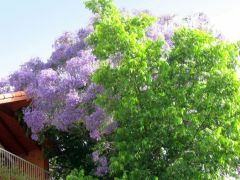 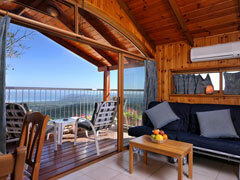 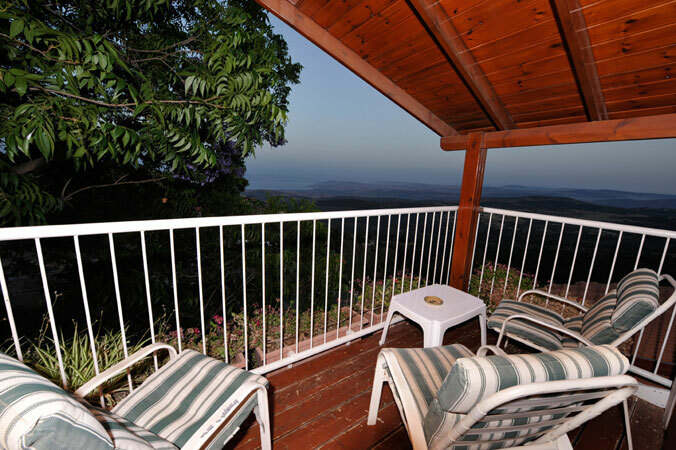 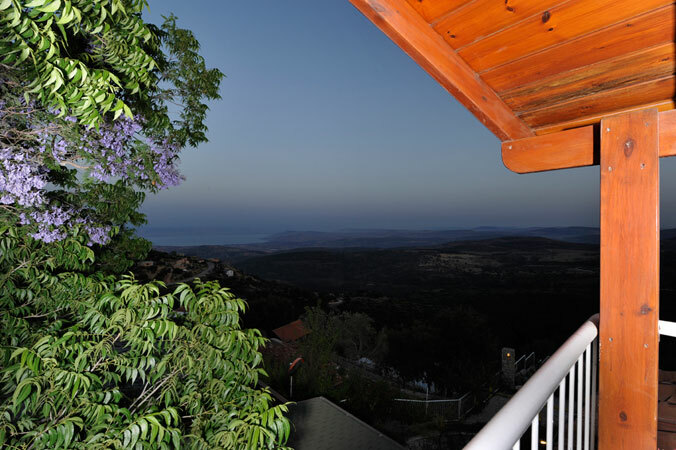 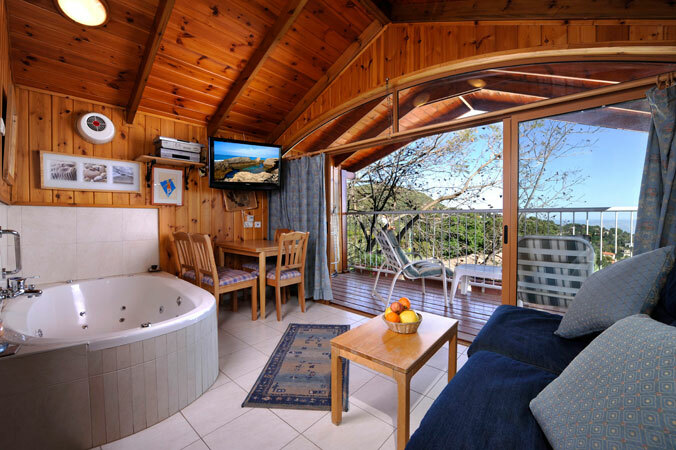 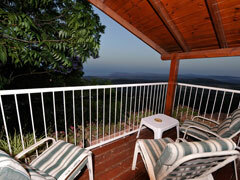 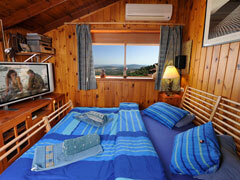 The roomy panoramic wood-beamed porch has a seating area and a view of the Galilean Hills, the Kinneret and the Golan Heights.